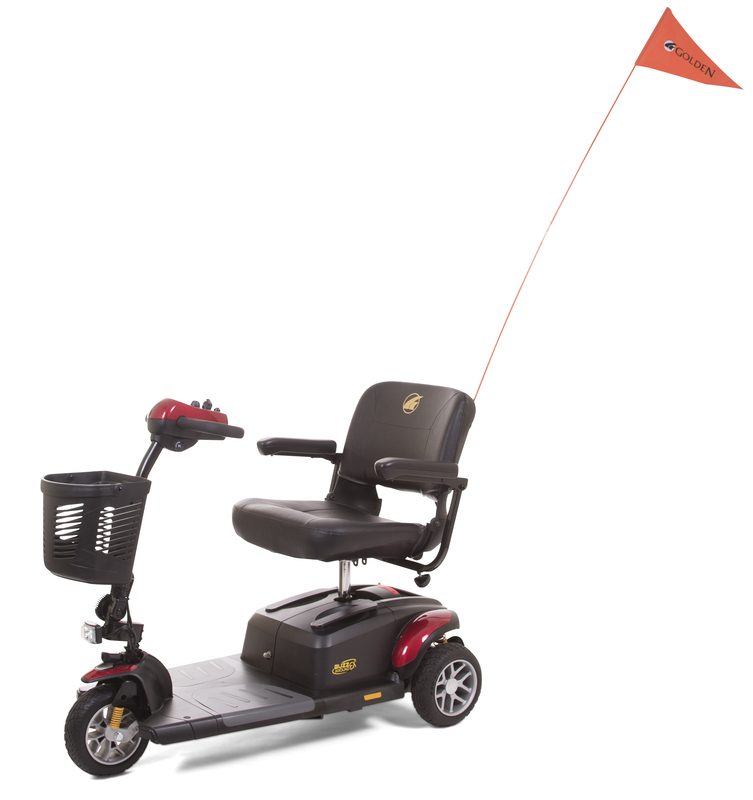 Our bright orange Golden Safety Flag now comes standard with all Golden Mobility Scooters. It is also available for all older Golden products, fitting in the sewn seat pocket on the back of all Golden Mobility products. 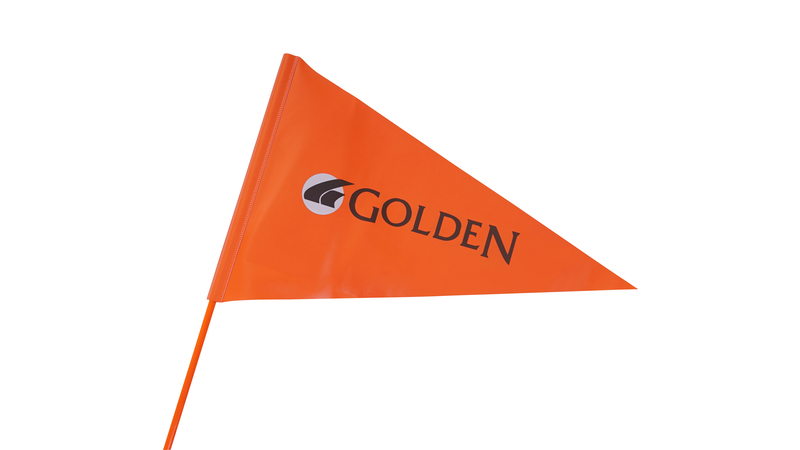 This flag comes is two pieces for easy breakdown and also allows for an adjustable height for when only half-size is needed.